Everyday life will never be the same for those who decide to buy any of these golf properties in Paphos in the island of Cyprus. 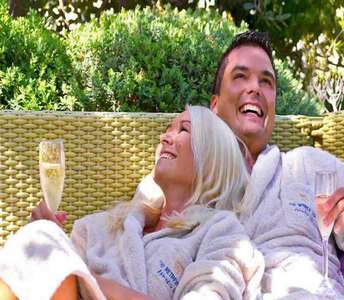 The golf resort to which these idyllic villas in Paphos belong to provide all sorts of facilities. This exceptional golf property (villa) is offered for sale in Paphos, Cyprus, and enjoys priceless views of mountainous landscape and gorgeous blue sea. 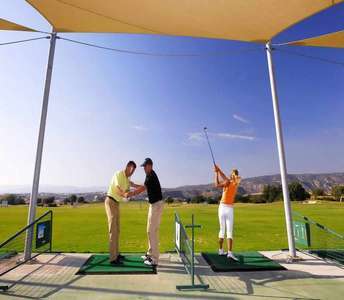 Also, it is situated in a beneficial location in Paphos District, near the renowned golf courses. This state-of-the-art seaside property villa for sale in Paphos will make you fall in love all over again! 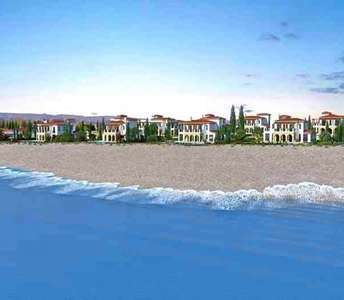 The property for sale in Cyprus is built on one of the most popular beaches in Cyprus, in the picturesque bay of the village Latsi. 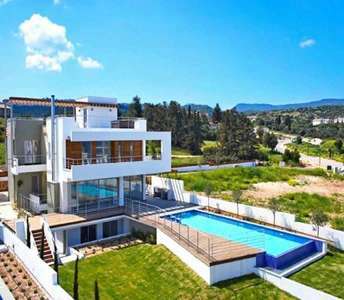 Modern designed villa for sale in the city of Paphos on the island of beauty, Cyprus which will fascinate all who seek to buy a villa in Paphos for permanent residence or holiday home. 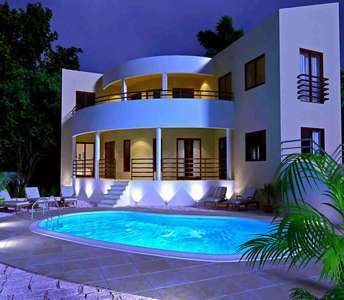 The villa in Paphos is under category luxury properties in Cyprus. If one of your dreams is to buy a beachfront villa in Paphos, on the beautiful island of Cyprus, then the particular luxury property for sale in Paphos (Cyprus), should be on the top of your list. 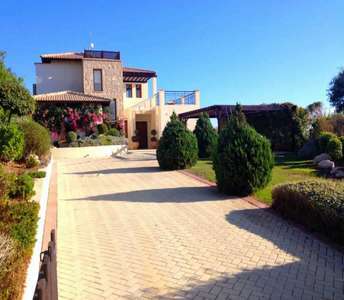 The beach Cyprus property in Paphos has sea view.